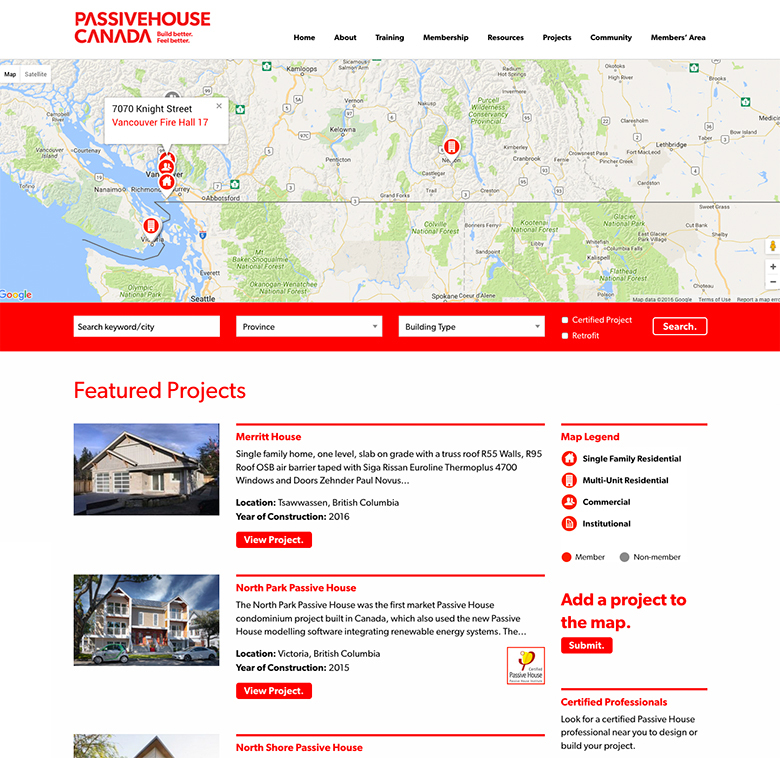 The Canadian Passive House Institute West underwent a re-branding and needed a large website to handle the growing company's needs. We custom designed every page on the site. 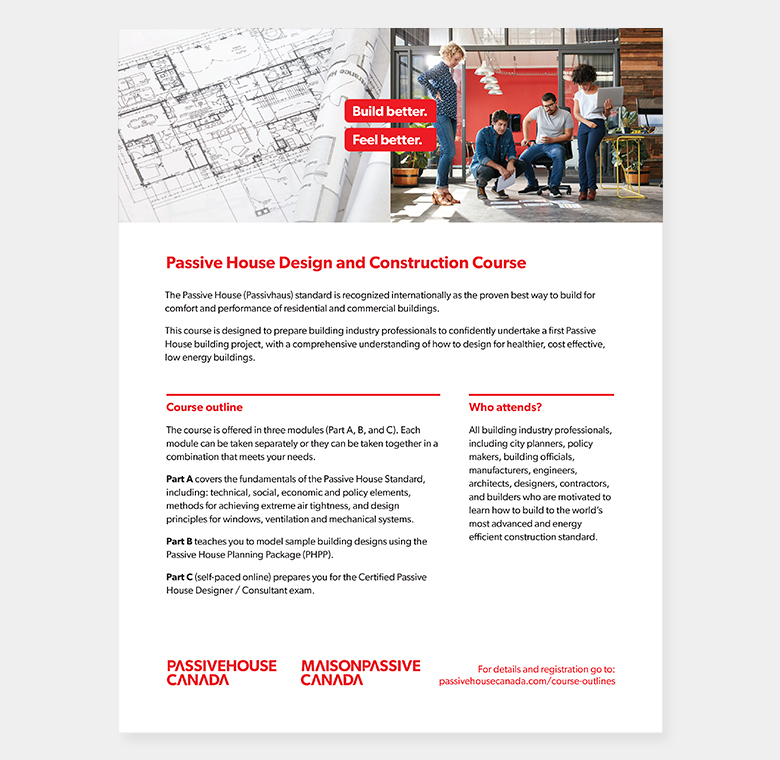 Then created a Wordpress theme from scratch with around 20 custom page layouts, image slideshows, forms, a project database with mapping tool. Plus tons of other unique features. 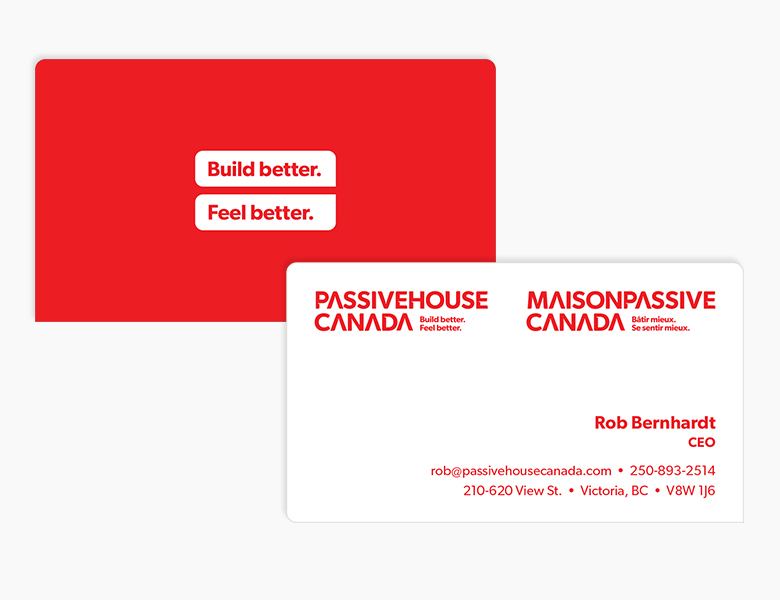 In addition to their website, we're now helping them carry their new brand's look and feel across all their materials: business cards, presentations, signage, print materials, social media and more.